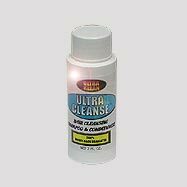 Ultra Cleanse Hair Cleansing Shampoo & Conditioner is especially prepared to eliminate all toxins and unwanted substances present in the hair shaft. Usually, toxins are stored in the follicles of the hair and they are permanently trapped until the hair is cut. Since the hair grows, the toxins get trapped within the hair follicle. In the test, the hair is cut back and the sample from the back head, which is near to scalp, and is tested by the examiner. Once, it is sent to the lab, the hair is made to dissolve in organic solutions, and the unwanted substances and toxins are eliminated. Ultra Cleanse Hair Cleansing Shampoo & Conditioner covers the hair forming an organic layer to remove the toxins from the individual hair entirely. It is safe, simple to use and not traceable. Deionized water, Comfrey Extract, Aloe Vera Extract, Geranium Extract, Citric Acid, Sodium PCA, Sodium Thiosulfate, Phenoxyethanol, Tetrasodium EDTA, Panthenol, Cocamidopropyl Betaine, Sodium Laureth Sulfate, Cocamide DEA, Polyquaternium 10, Glycerin, Sodium Chloride, Methylparaben and Fragrance. 1. Thoroughly wash the hair. 2. Apply 1 ounce, nearly half a bottle of shampoo on the hair. 3. Massage smoothly into hair and scalp gently, for 3 to 5 min. 5. Follow the above steps with the remaining shampoo. 6. Dry hair, style or Comb as usual. 7. Now the hair is washed of all toxins. 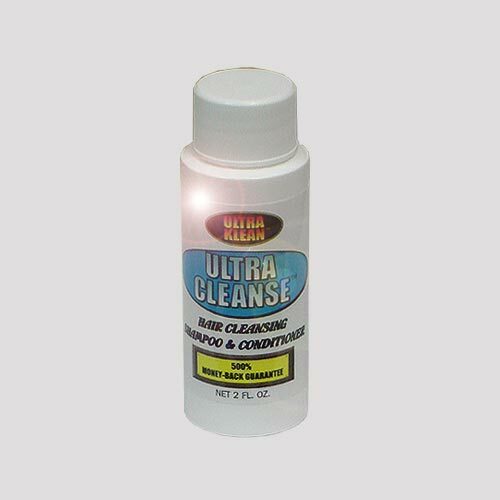 As with all our Ultra Klean products, it is backed with the industry's only 500% money-back guarantee.